Weddings are a fabulous affair and having just the right entertainment can take your wedding day to the next level. Whilst DJs provide a range of styles and music that your guests love, a live performer can make your special day seriously magical. Here are a few acts we think would be perfect for your upcoming wedding! Tide Of Sound is fronted by one of the most dynamic, energetic and illuminating female vocalists on the circuit with a vocal range that lends itself to virtually any genre. Couple this with the talent of one of the most accomplished keyboard player/programmer/vocalist’s and the diversity of their playlist will become apparent. Want to find out more? Learn more about Tide of Sound here! 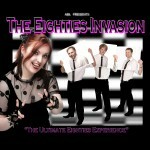 Take a look at their demo to experience their incredible sound! Absolute Divas are a tribute to the biggest Divas along with a twist of their very own diva arrangements of some of the biggest hits of all time. Absolute Divas have many years of experience performing around the UK and Europe at a number of high profile corporate events, weddings and other private functions. 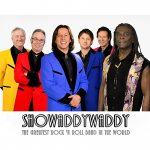 They are well known for performing around the country at various top hotel chains, holiday parks and numerous live venues. Want to find out more? Learn more about Absolute Divas here! 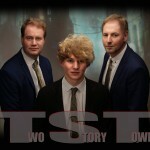 Two Story Town is an exciting live band fronted by multi-instrumentalist and great personality vocalist Mike Bentley, this energetic band perform some of the best well-known hits from the 1960’s right up until present day. Suitable for every venue and any audience, Two Story Town include the hits of The Killers, Stereophonics, Erasure, Walk The Moon, Madness and many many more. Looking for something a bit more interesting than a DJ for your wedding? Book one of the acts above or take a look at our vast range of artistes. We’re sure you’ll find something you’ll absolutely love.